UXBRIDGE, Canada, May 16 2013 (IPS) - Many eyes are turning north to the Arctic, some in horror at the rapid decline of a key component of our life support system, others in eager anticipation at the untapped resources beneath the vanishing snow and ice. “I’ve worked in the north for 21 years and the scale and speed of change up there is astonishing,” said Douglas Clark of the University of Saskatchewan. “These changes, taken as whole, and reflected in our report, keep me awake at night,” Clark told IPS. Rapid and even abrupt changes are occurring on multiple fronts across the Arctic, according to the Arctic Resilience Report (ARR). And what happens in the Arctic does not stay in the Arctic. “It’s the first international report to tell the world to buckle up, we’re on a wild roller coaster ride and we don’t know what’s coming,” he said. The ARR report is a two-year collaboration between experts in the Nordic countries, Russia, Canada and the United States, and includes indigenous perspectives. It is a cutting edge assessment of how changes in climate, ecosystems, economics, and society interact. The report was prepared for and released at the Arctic Council Ministerial Meeting in Kiruna, Sweden on Wednesday. “What is happening in the Arctic has profound implications for every part of the world,” said Sarah Cornell, lead author of the study. Global warming is not only melting snow and ice, it is warming the Arctic ocean and the surrounding lands. Seasons are changing, permafrost is thawing, new species are invading, Arctic species are struggling, lakes are vanishing, and rivers are being redirected by the melting landscape, the report documents. Some Arctic ecosystems are undergoing catastrophic changes, and some of these are large-scale and irreversible, Cornell, a scientist at the Stockholm Resilience Centre, told IPS. While the Arctic is as remote as the moon for many people, it is intimately interconnected with the rest of the world. Weather is driven largely by the cold Arctic and Antarctic regions balanced by the hot tropics. But the Arctic is rapidly defrosting – last summer the sea ice shrunk to half of what it was less than 30 years ago. The ice decline and the heating up of the Arctic have been accelerating in recent years. “This has and will have spectacular consequences for the rest of the world. We don’t know what they’ll all be,” Cornell said. The Arctic is home to cultures and species found nowhere else and they can’t go any further north to escape the rising temperatures. It is a real struggle to survive, said Tero Mustonen, president of Snowchange Cooperative, a network of local and indigenous cultures around the world. 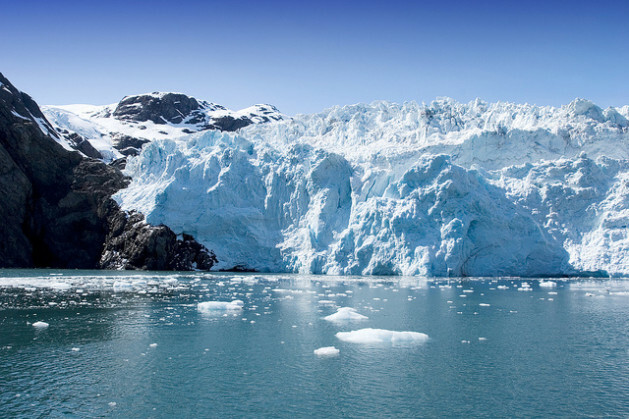 “The Arctic is undergoing fundamental changes. Moose are showing up in the tundra for the first time along with new insects, plants and even trees,” Mustonen told IPS from his home in eastern Finland. Mustonen, a co-author of the ARR, works with Chukchi reindeer herding communities from northeastern Siberia who have roamed those remote lands for hundreds of the years. Like many indigenous communities living on the land, they have a deep ecological, cultural and spiritual connection to their landscape. And that landscape is changing so much they sometimes don’t recognise their own home, he said. However, the focus of the eight-nation Arctic Council was primarily on future shipping opportunities, access to oil, gas and mineral resources, and geopolitics, with China, Japan, India, South Korea, Singapore and Italy granted observer status on the Council while Canada blocked the European Union’s application. The Council is the world’s main international forum on northern issues and will be led by Canada for the next two years. Canada said it will focus on economic development. Estimates show that the region may have 13 percent of the world’s undiscovered oil, 30 percent of undiscovered gas deposits, and vast quantities of mineral resources. The Council’s much-lauded scientific research will now be focused on how to develop northern resources for the benefit of northerners. Canada recently drew criticism for re-directing its own scientific research to supporting business and industry. Secretary of State John Kerry represented the U.S. at the Arctic Council, demonstrating Washington’s renewed interest in the Arctic. The White House also released its new National Strategy for the Arctic Region. While acknowledging the profound impacts of global warming on the region and indigenous people, the U.S. strategy says the region will help to supply U.S. energy needs well into the future. At the meeting, members adopted an agreement on marine oil pollution preparedness. Some indigenous and environmental groups urged the Council to place a moratorium on drilling for oil in the Arctic given the dangerous conditions and difficulties of clean up. Greenpeace International said the oil pollution agreement offered no specific practical minimum standards and had no provisions to hold companies liable for the full costs and damages. “There were two conferences going on here — one that warned of the dangers of climate change and rapid industrialisation in this fragile region, and another, attended by foreign ministers, that took almost no concrete steps to address them,” said Ruth Davis, Greenpeace International senior policy advisor. Arctic peoples aren’t necessarily opposed to economic development but they do want to be in control of what happens. However, Arctic nations and local communities are at very different stages. In Finland and Russia, indigenous people have no official land or water rights, unlike Canada or Alaska, said Mustonen. “The rights and cultures of indigenous peoples in these regions have to be taken seriously in order to integrate their needs into any form of development,” he said. This visualization makes it very clear that the Arctic will soon be ice free in summer. This is significant because it will mark the boundary of a change in state, and the effects on the Northern Hemisphere climate that we are already seeing will intensify. This is an event of geologic-time proportions in the space of one generation, and humanity can only think about how to exploit it? Thanks that’s a great graphic. The Arctic ice is truly in a death spiral.